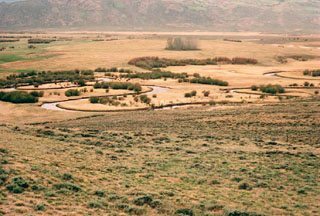 Description: The Wattenburg Ranch has 1½ miles of the North Fork of the North Platte, which is one of the best mid-sized waters leased by RMAC. There are many browns and rainbows averaging 10 to 16 inches, with a few larger ones approaching five pounds. Location: This property is located in northern Colorado, approximately 8 miles west of Walden.